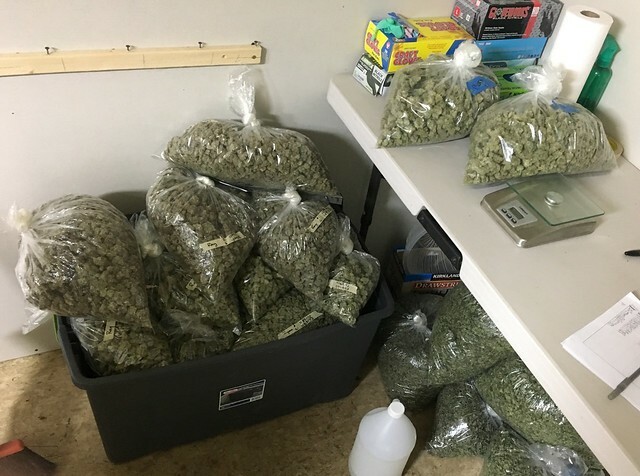 Is there such a thing as too much weed? According to economists: Yes. Prospective medical marijuana patients in Missouri are still at least eight months away from filling their first prescriptions, but a new report from the University of Missouri paints a problematic picture of the state's future cannabis market: Missouri cultivators are expected to produce way too much weed. This isn't a matter of a few extra grams in your baggie, but tens of thousands of pounds of product. The independent report, authored by economists with the university's Economic and Policy Analysis Research Center, cautions that a future glut will create "a competitive tension" that could crater prices and even push the excess supply to the black market. 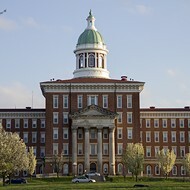 "The Department of Health and Senior Services faces a Herculean task," the report notes. That department, DHSS, is mandated with operating the state's medical marijuana system. 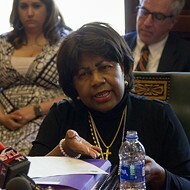 The system's particulars weren't set by public officials, but rather by a constitutional amendment approved by Missouri voters in 2018. As amended, the state constitution imposes a "floor" for the number of cultivation licenses issued by the state: No fewer than one cultivation center per 100,000 people. With the state's population at around six million, the floor becomes 60 cultivators. That's enough to satisfy a lot of patients; backers had touted Amendment 2 as a win for "200,000 patients." The economists, however, predict that Missouri will see only 26,000 patients by 2022. That demand could be served by only about two dozen cultivators, the authors say. But again, Missouri's medical marijuana program requires DHSS to approve a minimum of 60 cultivators. And if it wants to, the department could approve much more than that. To date, DHSS has received 142 pre-filed applications for cultivation licenses. It's been virtual gold rush of cannabis businesses and consultants competing for a market that some estimate will top $100 million by 2025. But what if the market isn't nearly that big? What's going to happen to all that weed? Like other states which legalized medical marijuana, Missouri's market is expected to grow quickly. The report's authors suggest that one possibility — the obvious one, really — is that the bumper crop will "leak" from the legal market to the one operated illegally by your friendly neighborhood pot dealer. This isn't just Reefer Madness paranoia. Take the oversupply situation in Oregon, where marijuana is legal for both recreational and medical use. A 2018 report by an Oregon/Idaho drug task force noted that only 31 percent of Oregon's cannabis inventory was distributed within the state in 2018. The other 69 percent? The region's U.S. Attorney blamed the oversupply for backing a vast and illegal interstate drug trade. But oversupply doesn't have to lead to the black market. The Mizzou economists suggest that "seed-to-sale" tracking systems and real-time record-keeping could provide strong incentive for weed growers to keep their supply on the market's legal side. However, the report's authors still contend that even their strongest projections show that there are simply not enough Missouri patients to support a market with 60-plus companies growing weed. 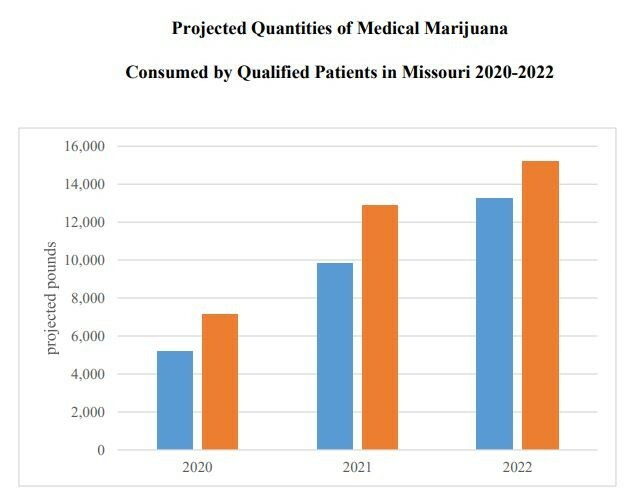 Perhaps, the authors suggest, Missouri patients might consume way more pot than the data predicts, but making the numbers work would require "an unusually large quantity of medical marijuana consumed per qualified patient per year," and the authors caution that such a projection "is essentially unsupported" by the available data from other states. 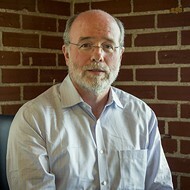 The report has been critiqued by the former spokesman for the New Approach Missouri campaign, which backed the amendment. Jack Cardetti, who now works for the Missouri Medical Cannabis Trade Association, told the Springfield News-Leader that he still expects between 2 and 2.5 percent of Missouri residents — around 120,000 people — to eventually join the state's roll of cannabis patients. "The notion that it would take Missouri three full years to have 26,000 patients in the program is just not reality," Cardetti told the newspaper, adding that Oklahoma, a state with two-thirds of Missouri's population, has already approved more than 83,000 patients since it began issuing medical licences in August. So, which path will Missouri go down? An overgrown supply like Oregon? A pot paradise for patients like in Oklahoma? Only time will tell. Missouri expects to start selling its first medical marijuana by January 2020.